What was the last time you had some rest with friends or family? If you can hardly remember the day, you need to change that immediately! 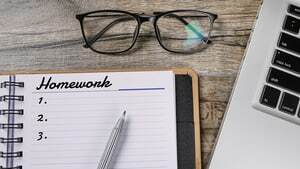 WriteMyEssays.com can help you with most of your homework load, thus giving more time for yourself. We are a trustworthy company with the staff ready for work 24/7. No high school essay, college project or university thesis for sale you get from us is plagiarized. Day and night we apply all efforts to create a piece that is unique. As all custom works are written from scratch, your professor won’t find a hint of plagiarism. If he/she does or there is the tunitin.com report that proves lack of authenticity, please send us scanned versions and all cases will be properly investigated. Today, WriteMyEssays.com has managed to reach the lowest plagiarism rate – 1%. We have created own software to detect the copy-pasting practice and the percentage of content taken from other online sites. If you want to, you can use the Checker yourself and see how it works. Upload 1.000 symbols minimum and see the results. All registered users may repeat the process up to a hundred times every month. Those, who haven’t ordered from our homework writing service, can do the same only 5 times per month. Let’s start from the very beginning: samples service is for someone, who has doubts whether a writer is the one to offer high-quality homework papers. If you have doubts too, feel free to request extracts from his/her previous works. When a customer does it, it gets easy to learn how the assignment is going to be completed. Don’t you like what you see? Then use your chance to ask for a different penman. We offer up to three changes per single purchase. If you fail in making another request within 2 hours, it is taken as the acceptance of an initially assigned helper. The feature is available per $5 and this sum is not refundable. Progressive Delivery allows extending the deadline for a revision to 21 days instead of 7. You pay extra $10 per it and this sum is non-refundable. According to the feature, a research is delivered part by part, and before a freelancer starts working on the next chapter, the previous one is to be approved. Once the copies of used sources are delivered to you, the service is no longer refundable. In case they aren’t offered upon the delivery, the payment is refunded, whatever the reason is. And finally, if you believe that assistance should be guaranteed by a native speaker only, you pay an extra fee. Today we hire authors from English-speaking countries (Canada, the UK, the USA, and Australia) and other world locations. They all have a good command of language and offer great papers. Yet, there are clients, who have doubts and are ready to transfer more to buy a piece from a native speaker. Can you complete an online text for me? There’s always someone, who wants to know the answer. WriteMyEssays.com is the company that does not pass online tests and exams. We believe this is the responsibility of a student. Besides, it is really hard to evaluate the quantity and cost of this type of work. We encourage you not to share your personal information when you communicate with a person, who’s about to type a homework assignment. All paper details are already specified during filling in the order form. Otherwise, we cannot guarantee the security and protection of your personal data shared via Live Chat. If changes influence the use of your personal data, you will see a notice on the website before the change actually comes into action. We only use info that is gathered from the moment the policy alternation onwards. When you don’t like your info to be used for purposes that were not stated before, contact our Support Team and find out how its transfer can be prevented. We know that while surfing on the web you can find other agencies that offer very cheap papers. And though their offers seem to be so appealing, it is better to stay away from them. Why? When the cost goes below $10 per page, the piece is hardly original or written from scratch. It means they fail in hiring experts ready to write in any style and format. Instead, they find those, who can to cope with any assignment fast without worrying much about the quality. The best way is to turn to our company and get exceptional homework!